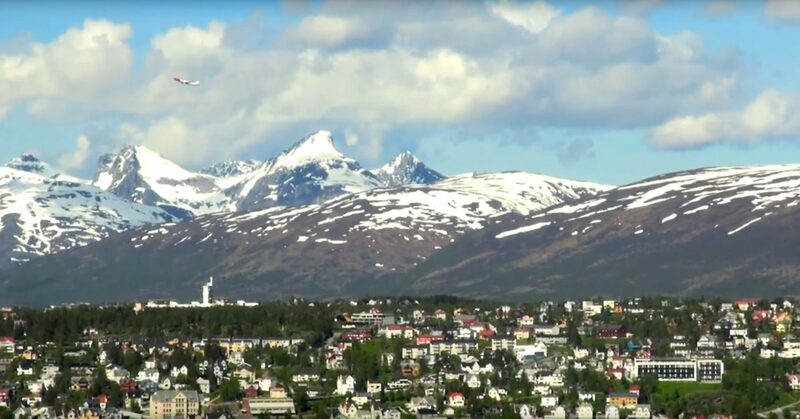 Universitetet i Tromsø - Norges arktiske universitet presenterer det internasjonale Tromsø gjennom fire filmer fra Visuelle Kulturstudier og Tvibit. Visuelle Kulturstudier (VKS) på UiT og Kulturhub Tvibit er to aktive filmmiljø i Tromsø. Ved begge stedene undervises unge i å lage film. Mange av filmene lages i Tromsø. For å feire det Internasjonale Tromsø har vi valgt ut 4 filmer, som viser ulike sider ved Tromsø som et internasjonalt og flerkulturelt sted. To av filmene er produsert ved Tvibit og to ved Visuelle Kulturstudier. Programmet presenteres av Alessandro Belleli fra Tvibit og Trond Waage fra VKS. Food Stories is a film that explores how particular food commodities are related to memories and emotions. The film is an outcome of a three-month fieldwork at Alanya Import, a greengrocery shop at Storgata in Tromsø, Norway. Different customers and goods are being followed through daily grocery shopping, cooking and sharing a meal. The film’s point of departure is how the customers relate to their food from their home countries. Various perspectives are presented in sensory meetings at kitchens around in Tromsø. Food becomes a window into different immigration and globalization processes. Furthermore does the film presents an insight of kids growing up in several contexts when it comes to food traditions. This short film is about dancing culture in Tromsø, different dancing performances and about connecting people with dance. The film was made as Part of Screen program, connecting youth through films. In this film we meet some of the women at the Alnor Center, the northern-most mosque in the world. It shows some of the activities and events that the women participate in, both regular mosque activities as well as other events happening in Tromsø town. The film shows the interaction between the Muslim women as well as the interaction with the local community. This experimental and colorful film is about seeing and being in between 2 homes, Tromsø and Guatemala. It concerns identity. I want to show that even though you weren’t born in the country where you live in, you can still feel like if you were without necessarily meaning that you missed your original identity. You can have space for more identities in the heart. There will be time for discussions after the screening of each film.